First Impressions of BlackBerry OS10 – Flawed, Cracked… But Rare! I finally gave in and bought myself a Q10. In two minds I was for a long while wondering if I should upgrade my trusty Curve 9360 (which was a gift from someone special) to a Bold 9900 or a Q10. Finally, at Alghanim’s Xcite showroom, I made the impulsive decision to go for the handset with OS 10 on it, in spite of the added dinars. Er… just saw a Star Wars clip! I had my apprehensions, compounded by the earlier online reviews and the general impression of it having a steep learning curve, even for existing BlackBerry users. Now, I cannot be slotted as an exclusive BB user as I lug around a Note 2 and an iPad most of the time, along with the workhorse BB. All my devices have a specific use in my style of operations so I do not mind the extra number of devices. 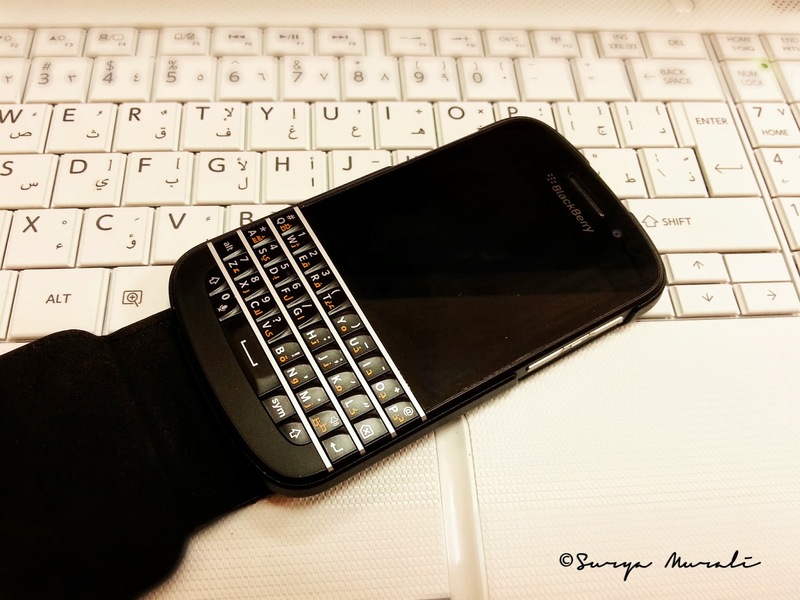 Coming back to the Q10… this baby looks good. It feels just about right in the hands, though I would have still loved a smaller handset more. The material and finish is really great… the back cover is almost velvety to touch. Frankly, my first impression of the glass weave back cover when I saw the images and videos was quite bleh… but in actual, it is pretty. Anyway,my friend bought me a functional BB flipcover for it so the phone’s all covered up in work clothes… expensive work clothes, I might add. The screen is gorgeous, even though it is tiny compared to the behemoth of a phone the Note 2 is. It is an AMOLED and that shows up in the saturated colours and deep, inky blacks that makes the display pop. I instantly fell in love. The keyboard… aah… if there is one thing that BlackBerry perfected, it is the physical QWERTY keyboard… it is a delight to use. Satisfaction guaranteed when you feel the chiselled keys under your thumbs and delicate click feedback they provide. Love that the keys are a bit larger than they were on the Curve and so me with my long, self-manicured nails can go clickety-click on them without mistyping too much. About that… mistyping is quite a tough task on the BB, the dictionary and autocorrect on it is amazingly accurate and unlike the iOS, it does not try to autocorrect every damn word you try to enter… so slang and Hinglish stay the way you want them. The BlackBerry Hub is just about the best thing I like about the phone. I so miss it in on my Note2 and the iPad… I remember Samsung (TouchWiz) having some sort of a social hub earlier on which they did away with because it was quite clumsy. The iOS is just beginning to realize that social networking is here to stay so there isn’t much you can expect from them until future OS releases. The Hub on the BB integrates all your email accounts and IMs and social networking sites… everything in a neat array, messages and notifications can be individual or clubbed as conversations… and the best part… they can be accessed from any screen of the phone, doesn’t matter if you are in the middle of some silly game (No, Nawaab saheb, I haven’t installed games on the phone… so you can stop sharpening that machete now). The gesture that let’s you peek in to the hub is called… what else but Peek. It is a perfect way to get a glance of what’s new in the hub and if it is important enough for you to let Red Bird spare Moustache Pig. And BBM is as good as ever… and now there is voice call and video call available on it. But, I have had a few glitches with BBM and the Wi-Fi network at work… seems to be some sort of router issue. I need to switch off Wi-Fi and use only data (which is a bummer for me) when I have to use BBM at work. But it works like a charm at home over both Wi-Fi and data. BlackBerry has always provided native support for almost everything I need on a work phone and so I haven’t really needed to wade deep in to the App World or what is now BlackBerry World. The lack of apps doesn’t bother me so much. I am yet to try out BlackBerry Balance which would separate my work profile from my personal profile… I need to look that up because the Q10 is an extremely personal phone for me and also the only phone with which I might actually do office work too. 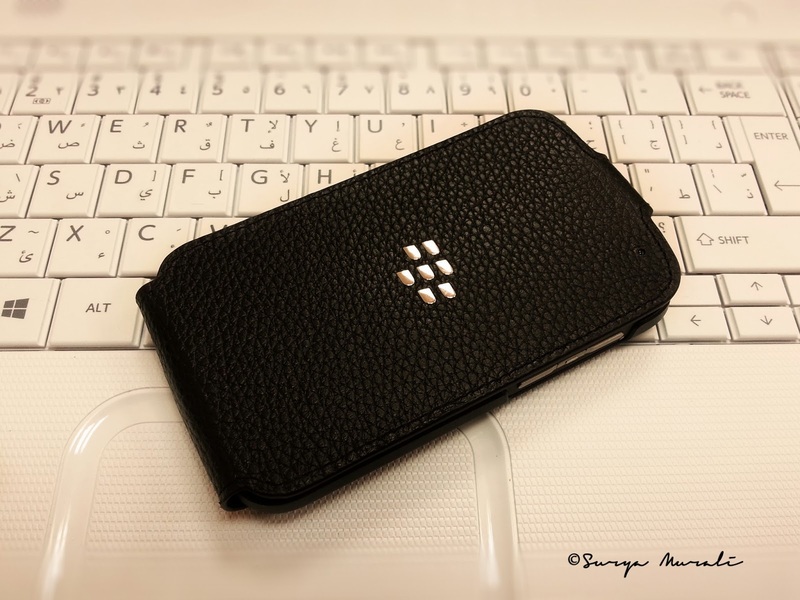 Pingback: Blackberry Passport | Flawed, Cracked... But Rare!